The Funky Town Festival will be a destination event in North Texas hosting world-renowned talent, Texas talent, and entertainment industry influencers that are also committed to supporting our next generation filmmakers, musicians and artists. 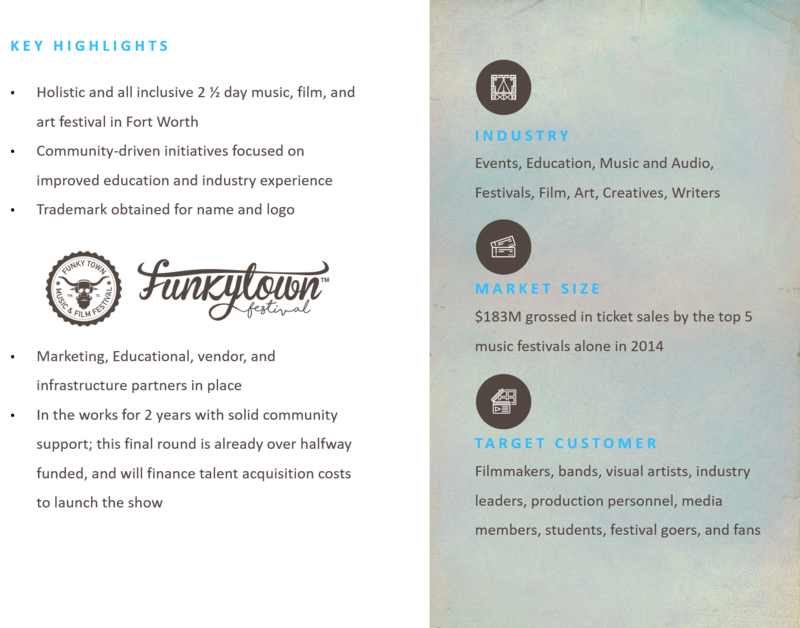 Our mission and vision is to be a platform for music, art, and film education and preservation, while highlighting Fort Worth’s rich creative history. Many people love a good creative arts festival. Managing one, on the other hand, is a little bit trickier than buying tickets and figuring out where to park. 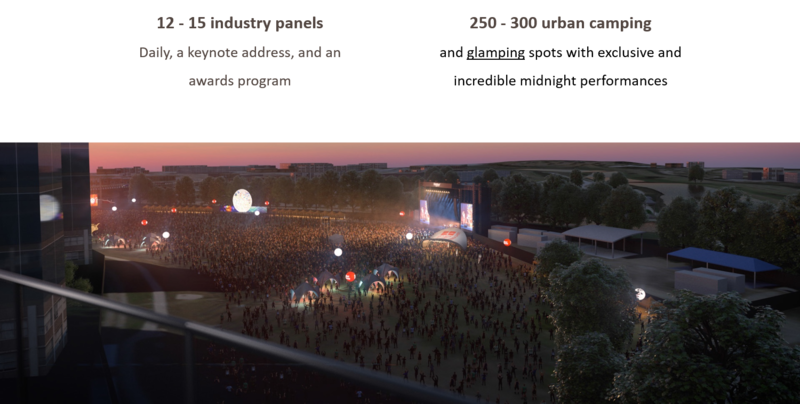 Promoters and venues are working to fit more festivals into the live-concert landscape, increasing artist competition. Technological advances enhance the consumer experience, but also allow for swift and decisive pass/fail verdicts of fledgling events. There is also an ever-expanding amount of consumer resources to discover content and experience music, film and art, which could lead to analysis paralysis. How can you decide what to see or do when one of the many other options might be better? Fans will come to experience the music, film and visual art they already love in a unique way. Industry participants will come to learn something and have a great time. Students and educators will prosper during and after the event. It’s a win-win-win. Did we lose you? 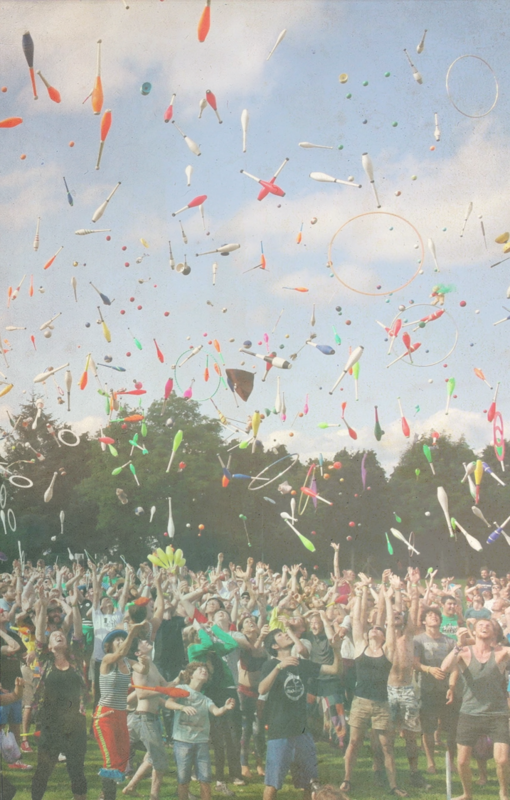 Let’s back up and establish why festivals themselves are so worthwhile. 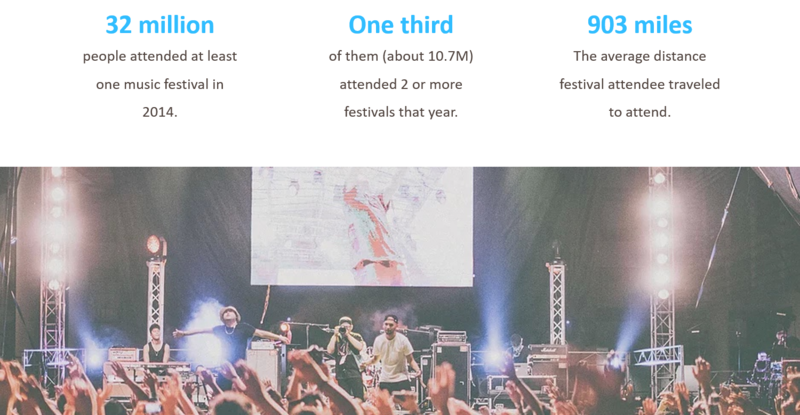 Millennials are clearly driving up attendance, partially because of the bargain of experiencing multiple performers with one ticket. Funky Town Festival has been developing solid roots in the DFW area for two years now, and is more than prepared to get this much anticipated event off the ground. 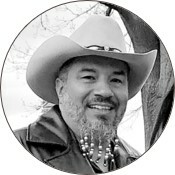 Carlos is a former musician,artist and filmmaker who sits on Fort Worth Film Commission Advisory Board. He founded the non-profit 501(c)3 organization Endeavor Cinema Group in 2009 and also founded PremRock Drywall services in 2003 which he recently sold but still retains a vital role as director of business development, managing partner and operations and procedures director. Mr. Rose is a community-oriented, Grammy Award-winning jazz drummer who is currently the Artistic Director for the New Orleans Jazz Orchestra, and also served as the Artistic Director for the Fort Worth jazz festival 'Jazz on the Boulevard'. He has toured and performed with world renowned artists: Ellis Marsalis, Dee Dee Bridgewater, Stevie Wonder, Harry Connick Jr. and many more. Julie Curtis has more than 17 years of experience in sponsorship acquisitions and festivals at AEG Live, Bass Performance Hall, and agency work with Atlantic Records. Kell Curtis has journalism and marketing experience through posts at ABC Radio and CBS Television, and also founded Wheelhouse Marketing and PR in 2004. Both Julie and Kell are musicians and Fort Worth Natives who bring unique insight and passion to the festival scene. Mr. Ansara is a gifted graphics designer, artist, filmmaker, web & application developer, and design specialist. Some of his major clients include Nissan, MercedesBenz and UNICEF. He is the creative director for the Funky Town Festival, producing all content for the event's branding, marketing and website. Chris will be acting as the Funky Town Festival talent acquisition director and has almost 20 years experience in this field. 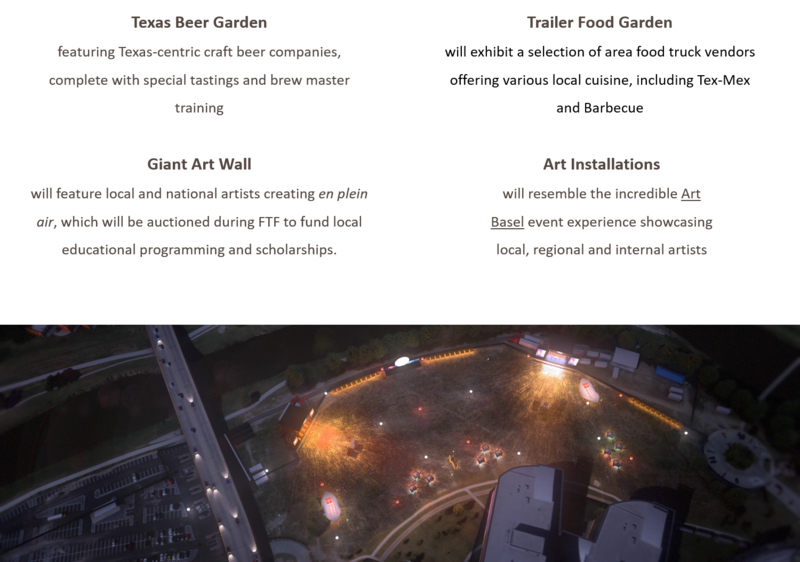 EBG Premium Experiences, a division of Entertainment Benefits Group, is a best-in-class, corporate hospitality, event management, and full-service production group, supporting several top brands in the world and producing hundreds of global sports and entertainment events annually. A seasoned events coordination and production manager for countless festivals and venues throughout Texas and abroad, Randy Brings his 20+ years experience in event production to our Funky Town Festival team.